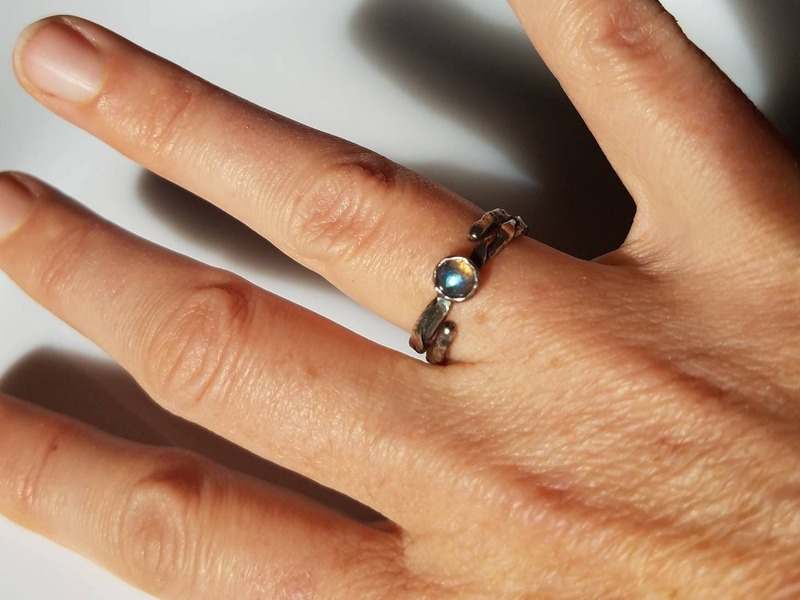 I created this elegant ring around the gorgeous and intriguing stone from Madagascar. 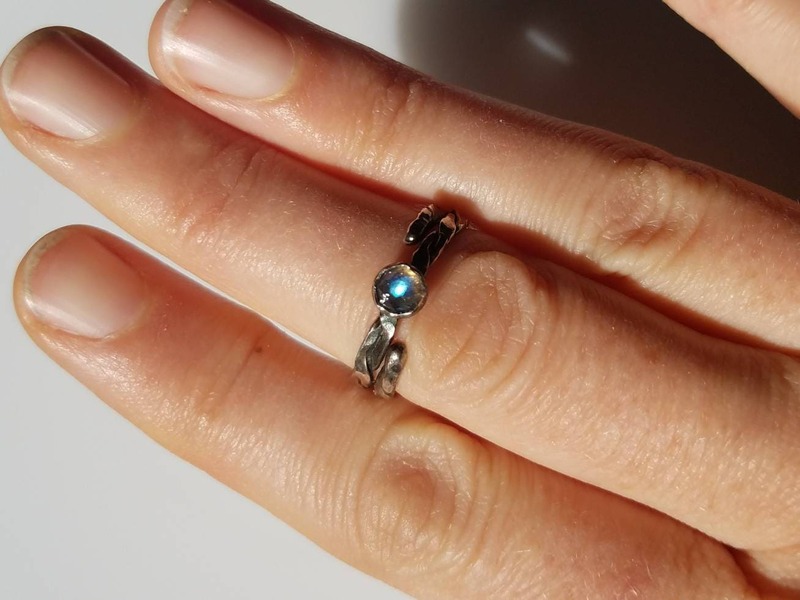 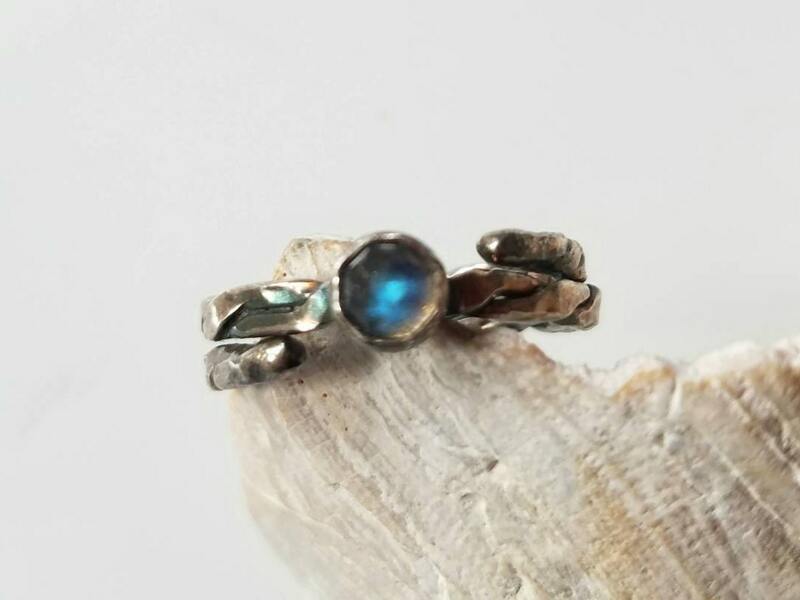 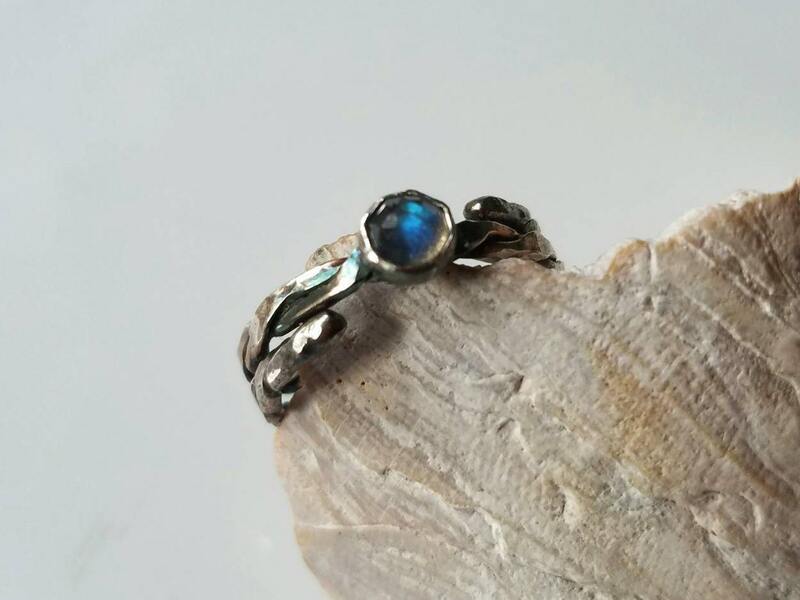 The stone is a beautiful high grade 5mm rose cut labradorite with superb flash. 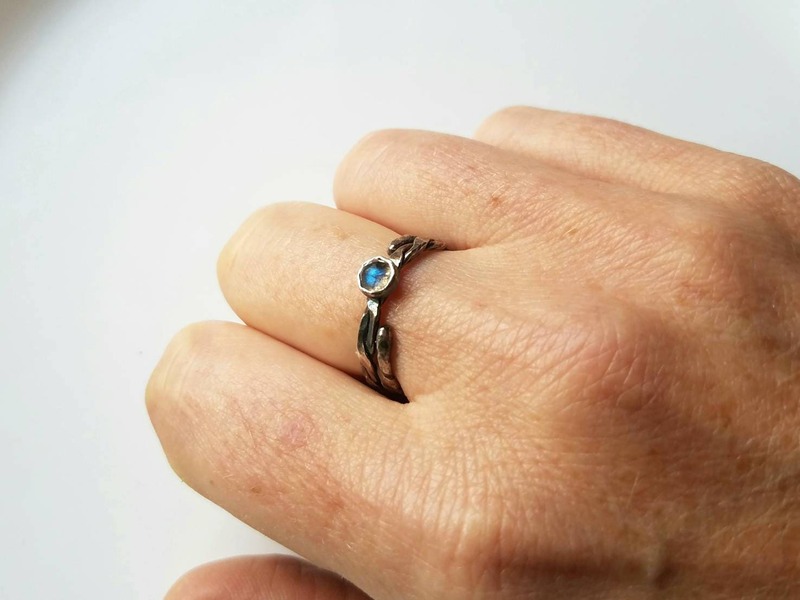 Colours range from deep blue to aqua and gold, with a background pale and translucent with glittering mineral flecks. 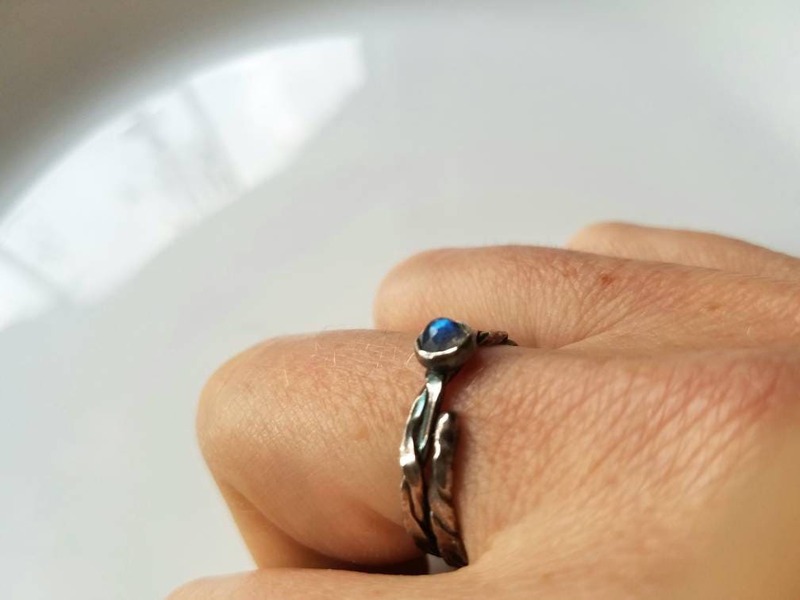 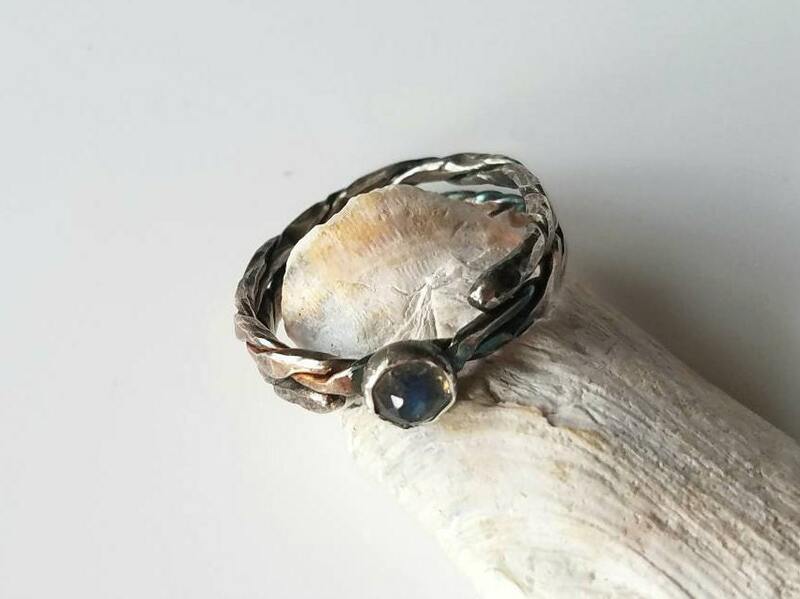 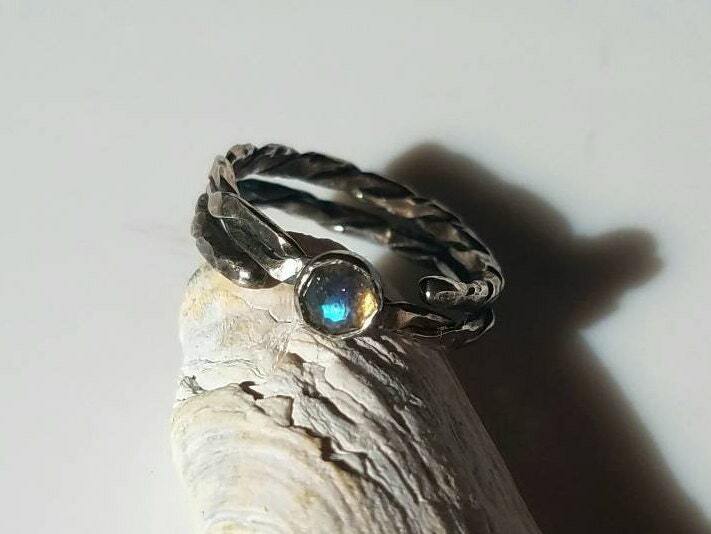 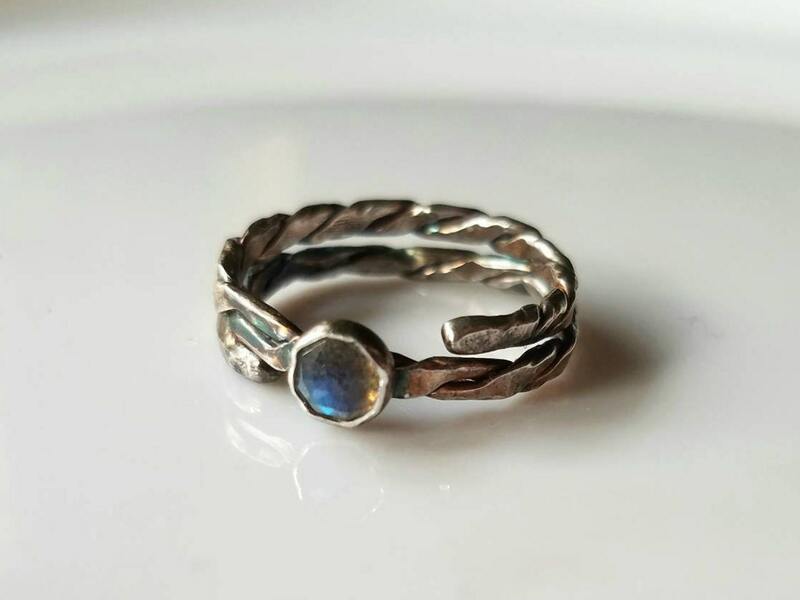 I hand twisted and forged the sterling silver band, gave it a pronounced hammered texture and topped it off with the 5mm rose cut labradorite. 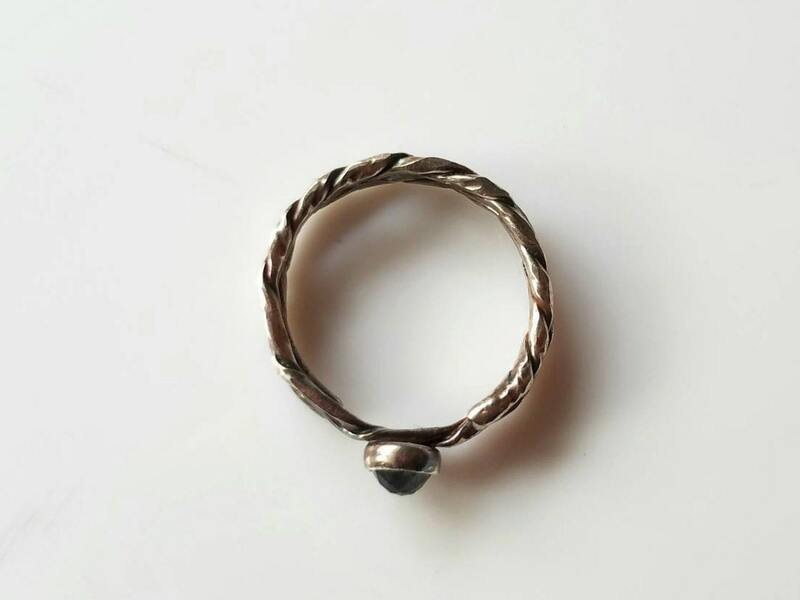 The band is approximately 2mm wide and adjustable from size 7 to 9.